Namira Salim is the Founder and Chairperson of Space Trust. 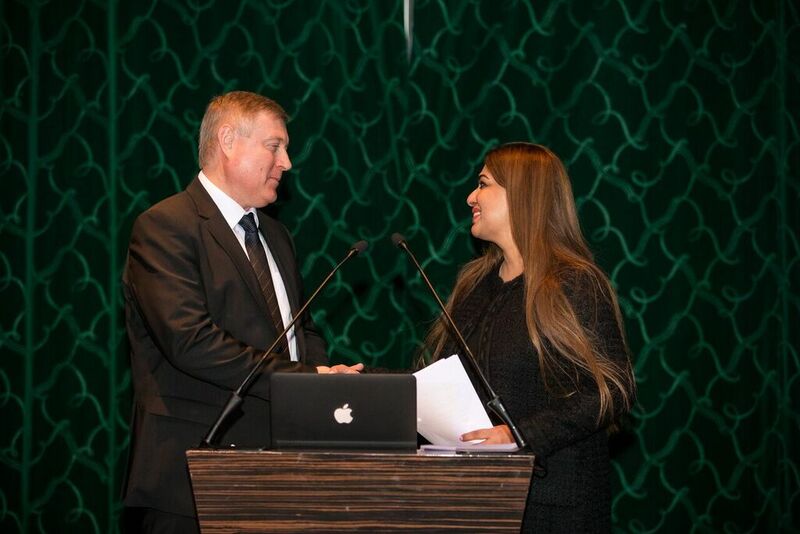 She is internationally renowned as the first future Space Tourist from South Asia and Monaco to go to space aboard Virgin Galactic –the first private space-line of the world. Sir Richard Branson, Chairman Virgin Group, personally introduced Namira to the world press in Dubai in 2006, as one of the earliest Founders of Virgin Galactic. This launch, which was aimed at raising an investor for Virgin Galactic, landed Virgin its biggest stakeholder worth $380 million. Namira is an avid promoter of Private Spaceflight, the new age of space exploration and a keen advocate of peaceful uses of Space. She has undertaken pioneering peace expeditions to all three poles of the world, and is the first Pakistani and first woman from Monaco and the UAE (her family base) to have reached the North and South Poles in 2007/08, as well as the first Asian to skydive (tandem) over Mount Everest during the historic First Everest Skydives in 2008. Namira holds an Ivy League Masters degree in International Affairs from Columbia University. 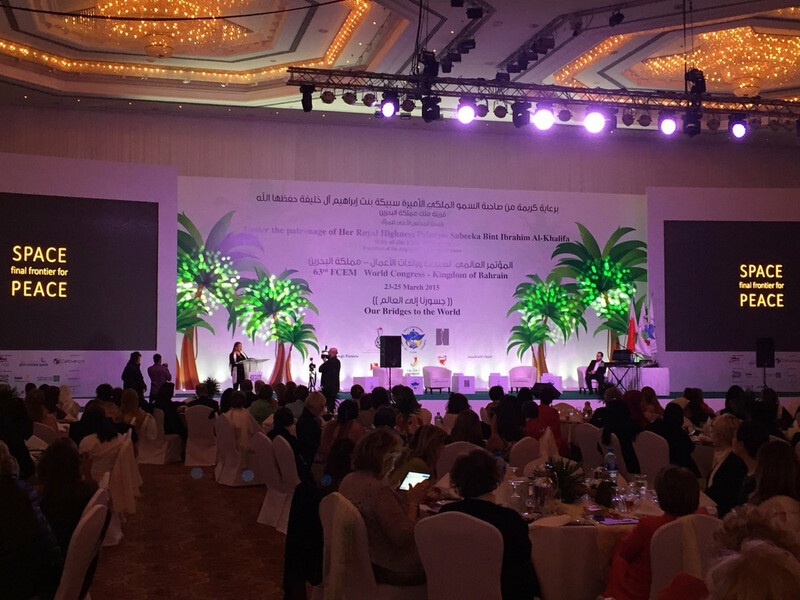 She has held official peace themed exhibitions during the United Nations General Assembly in New York, UNESCO’s Executive Board and UNESCO’s OIC Day in Paris and has held events under the Patronage of Royalty from Monaco and Dubai. 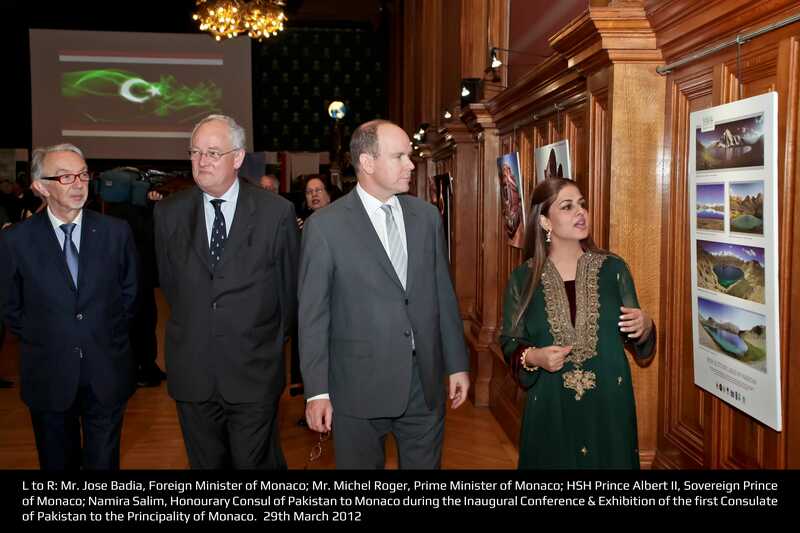 She has served as Honourary Ambassador of Tourism for Pakistan and as First Honourary Consul of Pakistan to Monaco, having spearheaded diplomatic relations between the two countries in 2009. She is based in the Principality of Monaco since 1997. 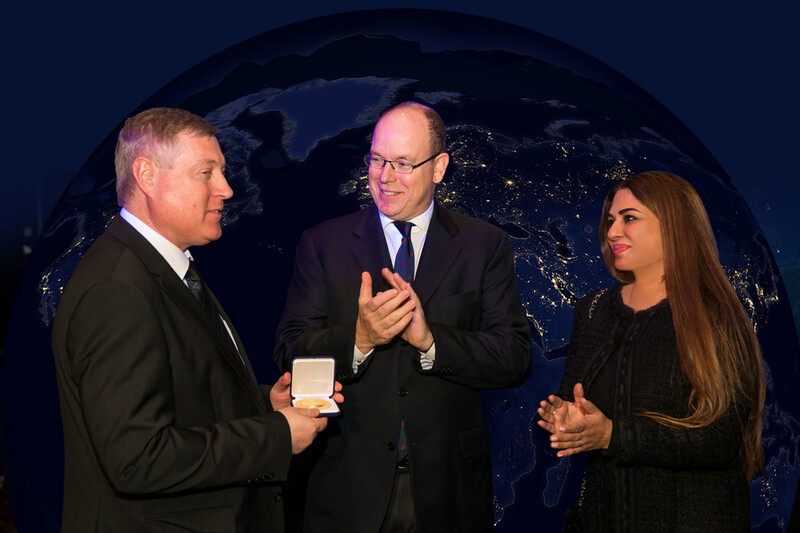 Namira was decorated by the “Medal of Excellence” by the President of Pakistan in 2011. Namira currently serves on the Henley & Partners’ Board of Advisors and its Global Citizen Award Committee. 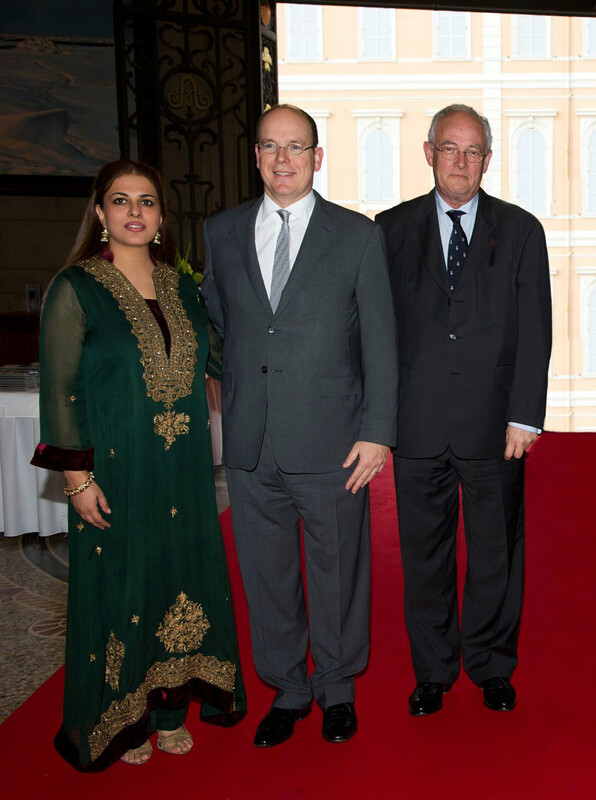 She has also served as Honourary Ambassador of Tourism for Pakistan and as First Honourary Consul of Pakistan to Monaco, having spearheaded diplomatic relations between the two countries in 2009. She is based in the Principality of Monaco since 1997. 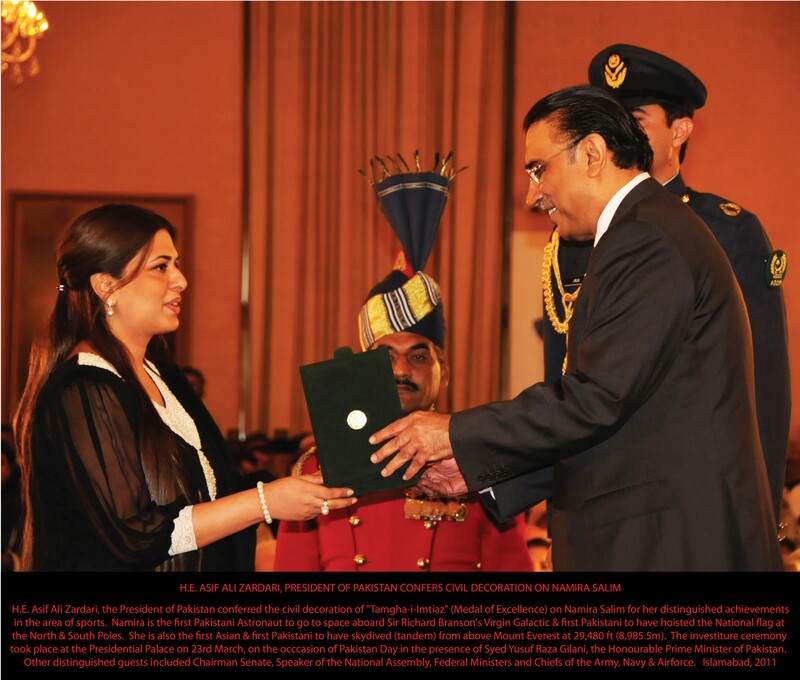 Namira was decorated by the “Medal of Excellence” by the President of Pakistan in 2011. Namira Salim has been a keynote speaker at the following conferences. COMMERCIAL SPACE AS A STIMULUS FOR INNOVATION AND INSPIRATION TOWARD THE MOON, MARS AND BEYOND presented at a High Level Panel during the 21st Annual FAA Commercial Space Transportation Conference in Washington D.C. United States, Wednesday February 7th 2018. 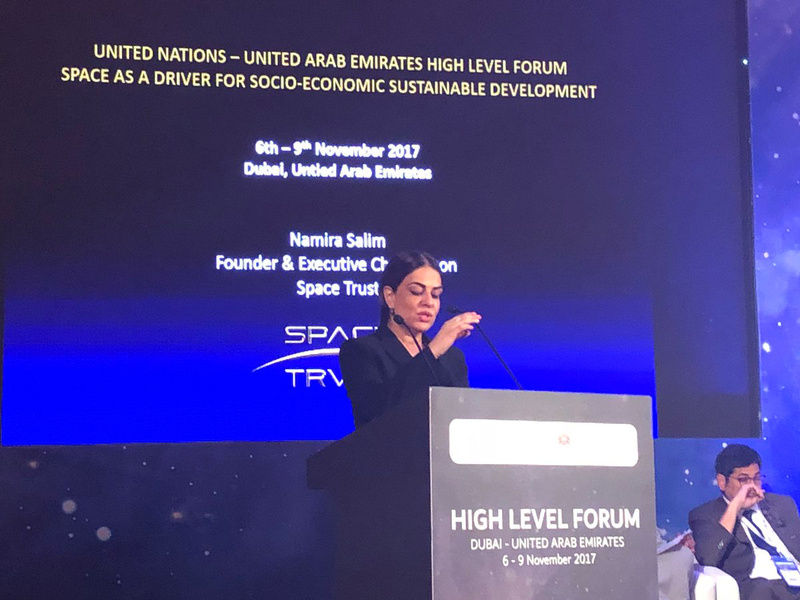 0G PEACE MISSION 2020 presented at the High Level Panel during the United Nations – United Arab Emirates High Level Forum in Dubai in the lead up to UNISPACE+50. United Arab Emirates, November 9th 2017. 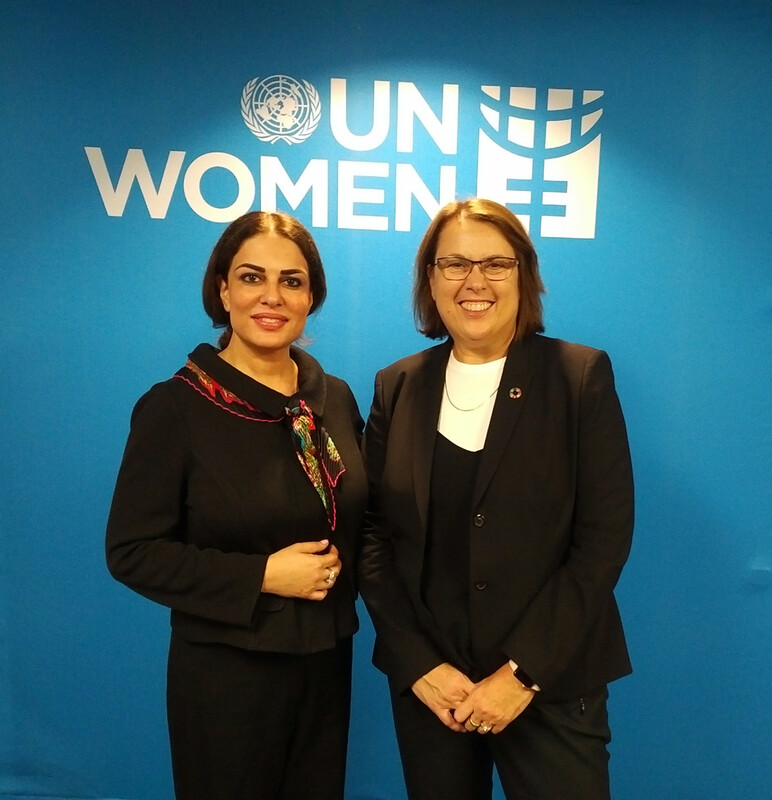 (Zero Gravity) 0G SUMMIT – MAKING “SPACE FOR WOMEN” LEADERS presented at the UNOOSA-UN Women United Nations Expert Meeting on Space for Women in New York. United States, October 4th 2017. 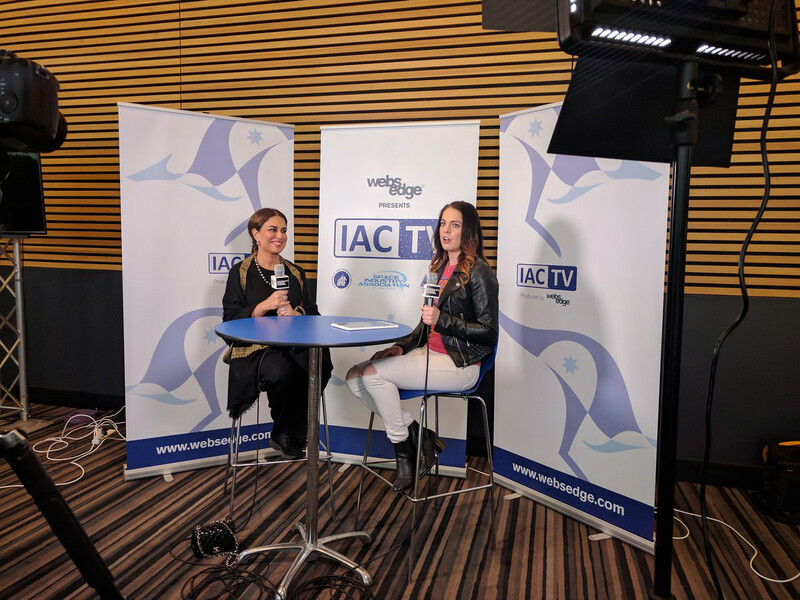 0G SUMMIT – SPACE DIPLOMACY IN THE AGE OF NEWSPACE presented a Global Networking Forum during the International Astronautical Congress in Adelaide. Australia, September 27th 2017. 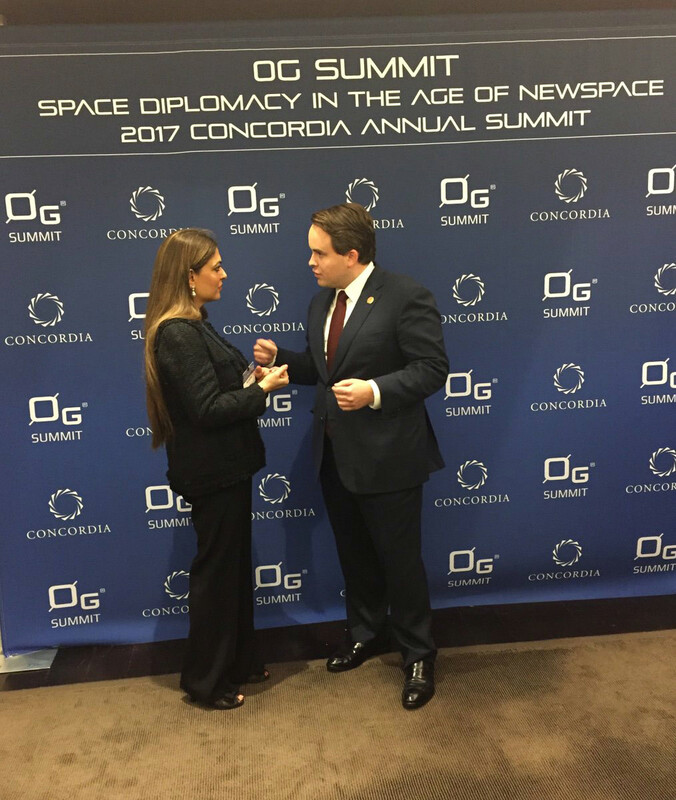 0G SUMMIT on the sidelines of the UNGA 2017 held in partnership with Concordia Summit in New York. United States, September 18th 2017. 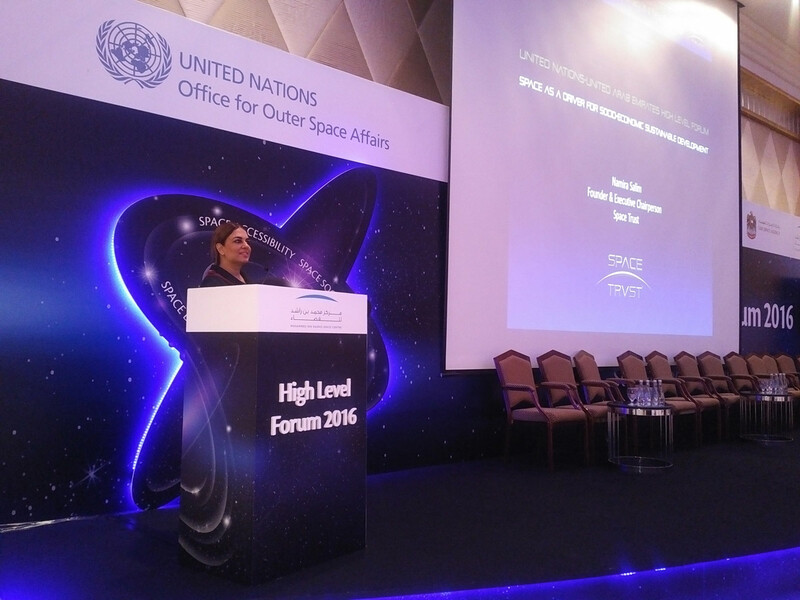 0G SUMMIT – SHUTTLE DIPLOMACY IN A NEW SPACE AGE presented during the Breakout Session on Space Diplomacy at the United Nations Office of outer Space Affairs – UAE High Level Forum in Dubai in the lead up to UNISPACE+50. United Arab Emirates, November 22nd 2016. 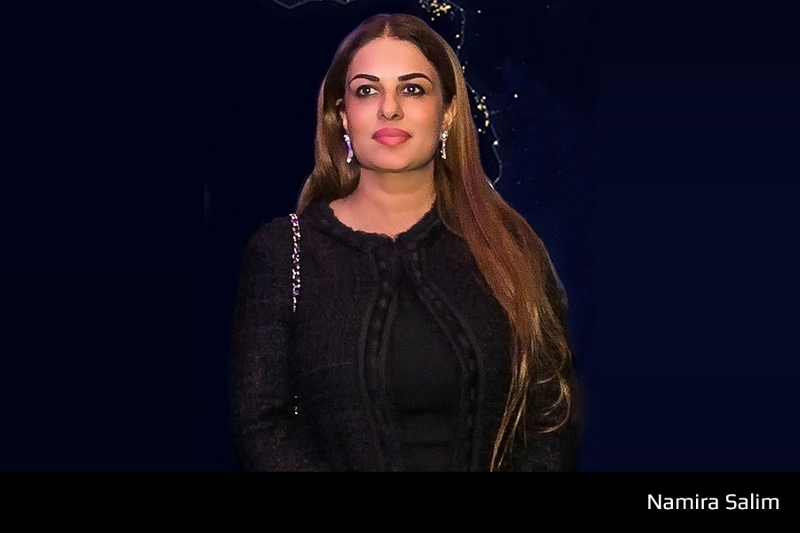 Namira Salim has organized visually compelling exhibitions with engaging audio visual content during the following exclusive presentations, official events and top conferences of the world, since 2000. Namira Salim creates a signature line of exquisite arts and collectibles, conceived and designed in Monaco since 1998. These have made high level gifts to the following Statesmen. © 2019 Space Trust. All Rights Reserved. This website is protected under United States & Foreign Copyrights. The copying, redistribution, use or publication of text, illustrations, photographs or videos on this website, is strictly prohibited.